The Kettler table tennis racket set Champ includes two table tennis rackets according to the ITTF norm and three Premium table tennis balls (3 stars). The table tennis rackets are ideal for playing at high pace. The anantomic grip of the Kettler table tennis racket Champ allows a perfect handling for great comfort and optimal ball control. 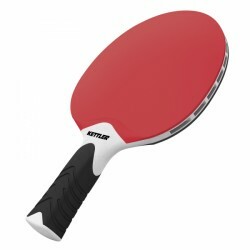 The Kettler table tennis bat Outdoor is of sturdy workmanship and is suitable for outdoor use. The layer is suitable for beginners and offers good playing features. 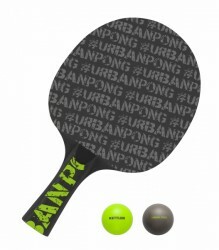 The table tennis racket UrbanPong convinces by its stylish urban design and good playing features. 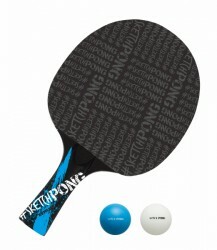 The Table tennis racket SketchPong of modern Sketch design with good leisure sport playing features.